Having a heavy scooter or power chair no longer excludes you from having a pickup truck. 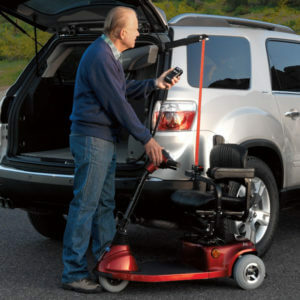 With a 350 pound capacity, the Heavy Duty Out-Rider® can handle many of today’s larger devices. Having a heavy scooter or power chair no longer excludes you from having a pickup truck. 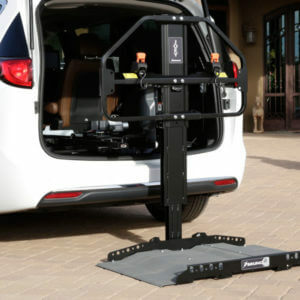 With a 350 pound capacity, the Heavy Duty Out-Rider® can handle many of today’s larger devices. Consistent with all Bruno lifts, the Heavy Duty Out-Rider® has been tested to 3 times it’s rated capacity so even if your chair is real close to the 350 pound capacity, you can have confidence the lift will provide years of reliable service.